Shop Ingles-Markets ~ Love the Savings! GAINESVILLE, Ga. – According to a release from the Northern District of Georgia U.S. Attorney’s Office, three former administrators of Union General Hospital were arraigned Monday, April 9, in federal court in Gainesville, Georgia. John Michael Gowder, Dr. David Gowder, and Dr. James Heaton, all of Blairsville, Georgia, were all indicted on federal charges for illegally prescribing and obtaining thousands of doses of prescription pain medications outside the usual course of professional medical practice and for no legitimate medical purpose. 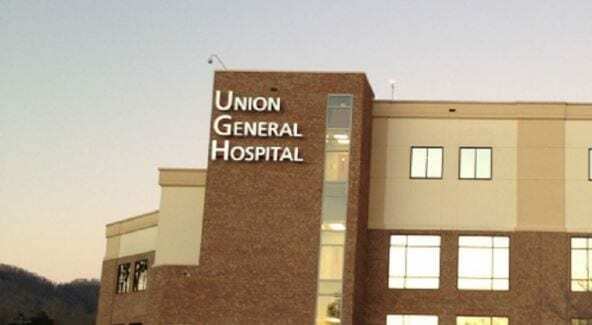 From 2011 to 2015, John Michael Gowder, 60, served as chief executive officer of Union General while Dr. David Gowder, 61, served as the hospital’s emergency room director and Dr. James Heaton operated a family practice clinic in Blairsville during that time, according to the release. As part of an Operation SCOPE (Strategically Combatting Opioids through Prosecution and Enforcement) investigation conducted by the Northern District of Georgia U.S. Attorney’s Office the Gowders and Heaton were indicted for illegally prescribing and obtaining doses of oxycodone, hydrocodone and alprazolam. During their affiliations with Union General, the Gowders and Heaton, according to the release, personally filled illegal prescriptions at local pharmacies in Georgia and crossed state lines filling prescriptions at pharmacies in North Carolina and in Tennessee. The release alleged the names of other physicians were forged in writing illegal prescriptions and the Gowders themselves abused their administrative roles at Union General to intimidate employees of Union General into concealing the unlawful acquisition of the controlled substances. This case is being investigated by the Drug Enforcement Administration, and the Union County Sheriff’s Office, the Cherokee County (North Carolina) Sheriff’s Office, Georgia Drugs and Narcotics Agency and the Zell Miller Mountain Parkway Drug Task Force.